Let us help you tame the waste from those larger projects! Big projects sometimes call for big solutions. Many times, a large-scale job results in more debris than your usual trash receptacle can accommodate. 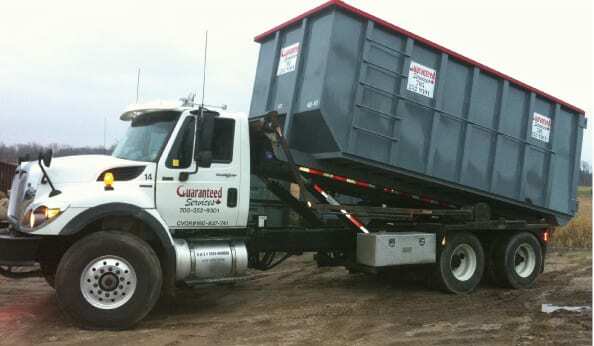 If you are wondering how to deal with materials from a home renovation project that involves demolition and construction scrap, turn to us at Guaranteed Services for roll off dumpster delivery. We are here to meet all of your waste receptacle rental needs and will take the time to assess your situation to provide you with the best solution. We have more than two decades of experience in the waste removal industry and owe our longevity to our high level of customer service. You can rest easy knowing that you will receive reliable and courteous service throughout your project. When you call us about roll off dumpster delivery, we start by discussing the size you will need and the day and time you would like it delivered. 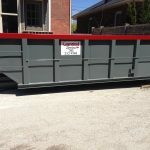 We offer bin sizes from 10 to 40 cubic yards and will be happy to help you determine which size is best for your situation. We will also discuss where you would like your dumpster placed. You can tell us what date you would like it picked up when you reserve it, or you can let us know when you are ready to have the bin picked up and your waste disposed of. We serve the Stayner, Ontario area with guaranteed services that will make your upcoming project go smoothly. Call today to reserve your dumpster or fill out our convenient form online, and we will contact you. If you have any questions about our roll off dumpster delivery service, don’t hesitate to contact us.